Today is officially closing day! And we move tomorrow! Thank you so much for all the sweet emails and encouragement. Hopefully next week I will be in our new home AND I have some exciting things planned for next week. 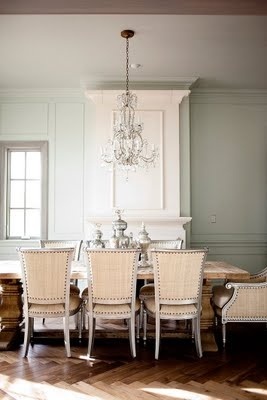 Now for my dining room inspirations.... these are kind of all over the place, but luckily my sista helps me reign in it. 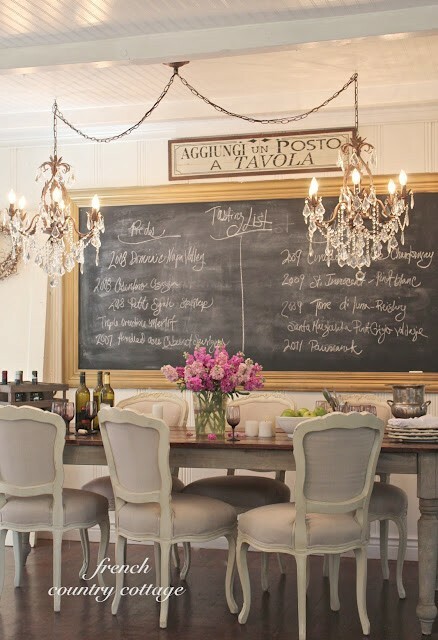 I like the one with the chalkboard--so rustic!! And CONGRATS on closing day!!! Must be so exciting!! We move every 3 years with the military, so I won't know the stresses/blessing of home-ownership for a long time!! Awesome! 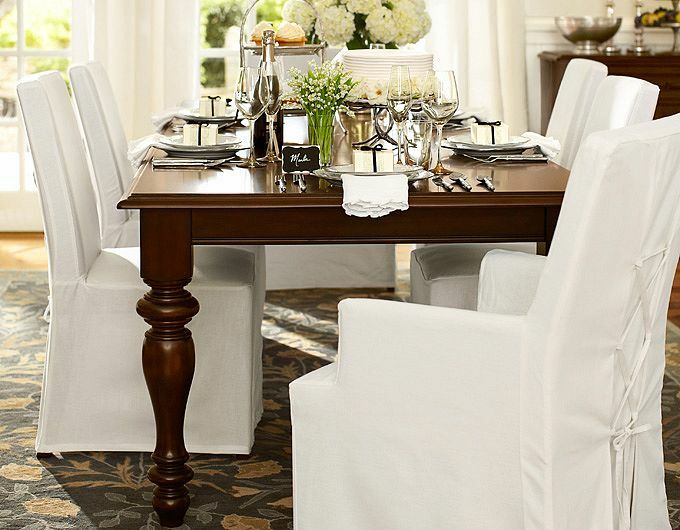 Owning a home is a blessing. 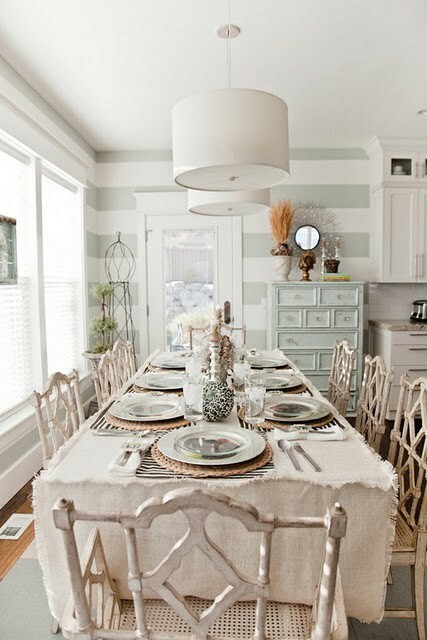 Love love the chalkboard frame behind the table - so clever! 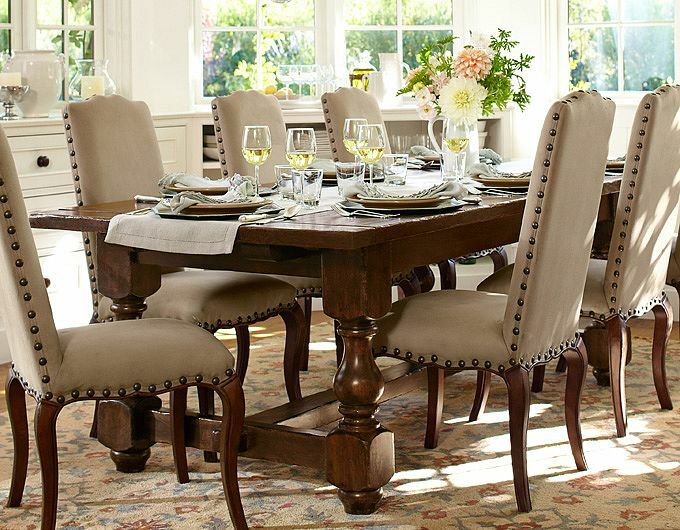 LOVE this first table set and chairs!! Congrats on moving! !